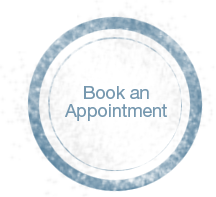 Please be aware that evening and Saturday appointments are always in very high demand, and that most of our patients are pre-booked for their maintenance visits months ahead of time as they leave from their current appointments. Your understanding and flexibility will allow us to help find you suitable appointment times for you and your family. On a daily basis, patients call us with the need to reschedule their upcoming appointments. This creates appointment openings that we immediately try to fill with those patients that we know are waiting for immediate notice openings, or openings at special times, or those that want to get to our office sooner than their scheduled visits. For patients visiting Aurora Smile Centre for the first time, we ask that you arrive approximately 20 minutes before your scheduled time so that we may have time greet you, allow enough time to fill out the required forms, and answer any administrative questions you may have.